As Myanmar and Thailand are good neighbours, the two have firm and historic relations. 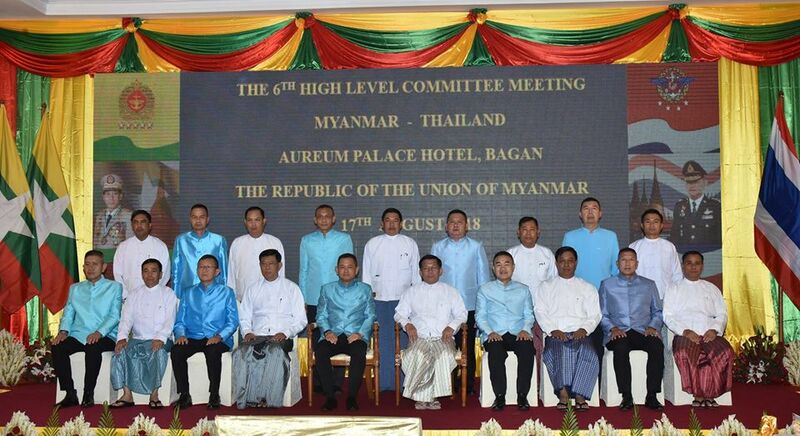 The Tatmadaw is striving to promote its bilateral relations with the armed forces of the neighbouring countries to reach the highest level.The bilateral military relations have further cemented the relations between the two countries, said Co-Chairman of the 6th High Level Committee Meeting Commander-in-Chief of Defence Services Senior General Min Aung Hlaing in his opening address at the 6th High Level Committee Meeting held at Aureum Palace Hotel in Bagan this morning. Present at the meeting were Senior General Min Aung Hlaing, Commander-in-Chief of the Royal Thai Armed Forces Gen.Tarnchaiyan Srisuwan, Chief of the General Staff (Army, Navy and Air) General Mya Tun Oo, Commander-in-Chief (Navy) Admiral Tin Aung San, senior military officers of the Office of the Commander-in-Chief,senior military officers of the Royal Thai Armed Forces, the Myanmar military attaché to Thailand, the Thai military attachés (Army, Navy and Air) to Myanmar and officials. In his opening address, the Senior General said the two armed forces have successfully held the township-level and regional-level meetings. Former Commander-in-Chief of the Royal Thai Armed Forces Gen. Tanasak Patimapragorn proposed to hold the High Level Meeting annually to acquire further improvement, and his proposal was agreed by the Senior General. It is now the 6th High Level Committee Meeting. Currently, bilateral relations between the two armed forces have reached the highest level. 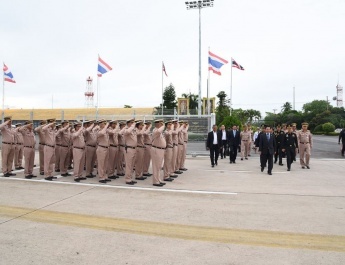 The Senior General thanked the Thai General for his activeness in the cooperation between the two armed forces.Now also, I firmly believe that the existing good relations between the two armed forces could have been maintained and the best relations have been built. Cooperation could be strengthened after various level meetings of relevant committees and regular meetings of navy and air forces had been held. I also firmly believe that this meeting will further facilitate trust, understanding and amicability between the two armed forces. It can clearly be seen that the relationships between the two armed forces have reached the highest level after goodwill visits of high-ranking officers including commanders-in-chief of the two countries have been exchanged to share information about defence matters of both countries. I believe that this meeting will bring invaluable results for border peace, stability and development of the two countries. 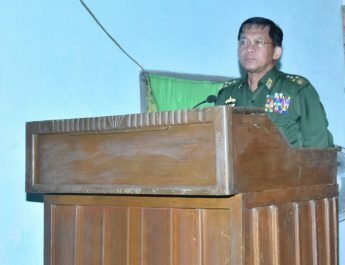 In his opening speech, the Commander-in-Chief of the Royal Thai Armed Forces extended his sincere appreciation to Myanmar Tatmadaw for timely assistance and support for throughout the search for Wild Boars youth football team in the Tham Luang-Khun Nam Nang Non Forest Park, Chiang Rai. 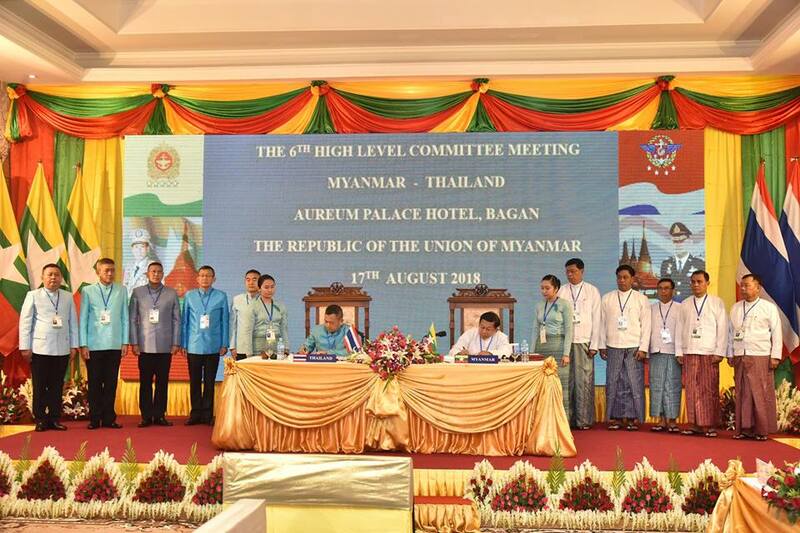 Thanks to the regional border committee meetings, border problems could be prevented,thus improving the friendship between the two people from border regions. Charities of the two armed forces have also made a landmark in history. 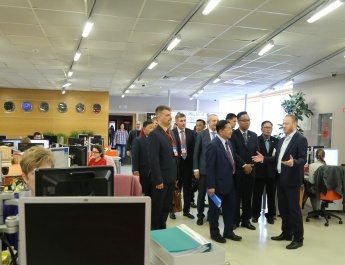 Exchange of cultural troupes, sports teams and medical teams between the two countries further improve the friendship and amicability between the two armed forces. Thailand would continue to try to improve the relations between the two armed forces. The Senior General and the Commander-in-Chief of the Royal Thai Armed Forces approved the agenda on the meeting. 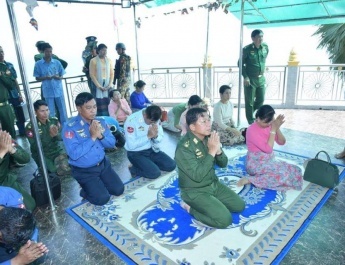 Lt-Gen Than Tun Oo reported on results from the Myanmar-Thai Border Committee meeting. The master of ceremonies also reported on holding discussions on cooperation between the two armed forces of both countries, organizing the Navy to Navy Talk, staging the Air Working Group Staff Talks, cooperation in training affairs,exchange of visits of war vessels,sharing of HADR experience and weather information, and exchange of information for ensuring peace and stability in border region of both countries, matters related to language courses, helps of Myanmar Tatmadaw in rescuing 13 footballers from Wild Boars football team from the cave near Tham Luang Khun Nam Nang Non Forest Park, exchange of visits of cultural troupes, and exchange of goodwill visits. 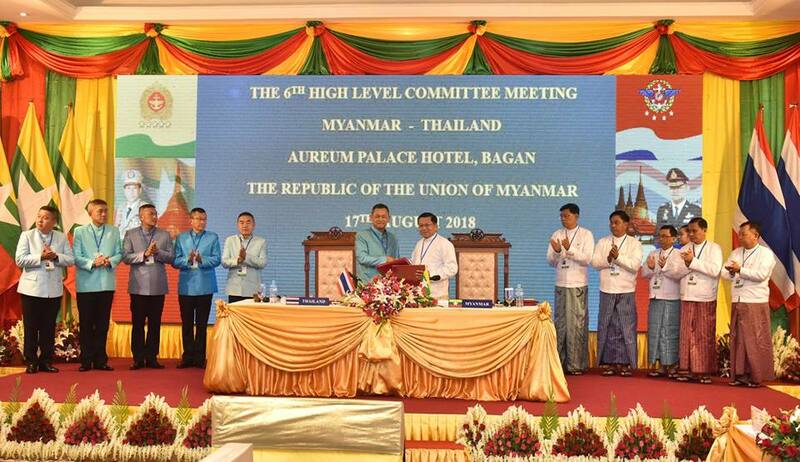 Secretary of Myanmar side for Joint Secretariat Meeting of the 6th High Level Committee Meeting Lt-Gen Soe Htut also presented a report on further promotion of friendly relations between the two armed forces of both countries and military cooperation. Then,Senior General Min Aung Hlaing and Gen.Tarnchaiyan Srisuwan signed the approval for the meeting agreements and exchanged emblems. Afterwards, the Thai General and the Senior General delivered concluding remarks. After cordially greeting the senior military officers from both countries, they posed for documentary photo. 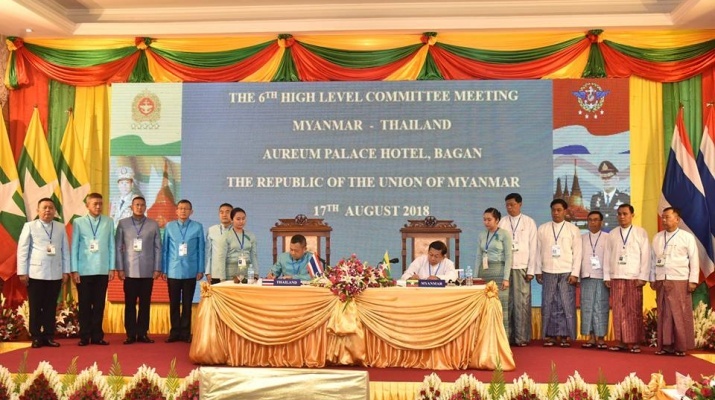 Today’s 6th High Level Committee Meeting discussed 13 points including the tasks to promote friendly ties between the two armed forces of both countries, border affairs tasks of both countries to prevent natural disasters for contributing towards peace and stability of border people,narcotic drug eradication and prevention. After the meeting, Gen. Tarnchaiyan Srisuwan and wife Mrs.Jiraporn Srisuwan were hosted a luncheon by Senior General Min Aung Hlaing and wife Daw Kyu Kyu Hla at Nanmyint Tower of Aureum Palace Hotel.